GOP may have lost at the polls in November, but Republicans are marching forward with their caustic rhetoric and bankrupt ideology. Case in point: Michigan. 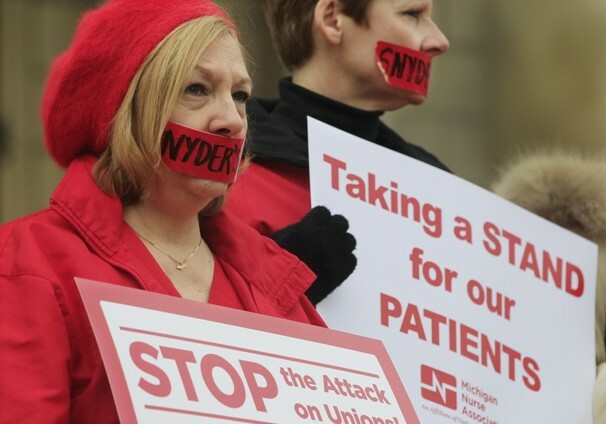 Governor Rich Snyder and his GOP friends pulled a Godfatherly stunt on Unions in Michigan. In this segment, Prof. Mohan focused the discussion on “right-to-work” laws and the manner in which MI Governor enacted this law in MI seriously. This is essentially the Koch brothers and Sheldon Adelsons want. They paid for it. And they got it. Screw you, the average voter. A majority in this country may be the middle class or poor, but GOP is for the rich, by the rich.